The Clinton School Parking lot is reserved for teacher and staff use. All other visitors must use on-street parking. Please note that Maplewood Township has posted new parking signs for the 2018-2019 school year. The stretch of Burroughs Way directly in front of the school is now for "Buses Only/No Student Drop Off or Pick Up." The map below should shows the parking rules on the streets in front of the school. 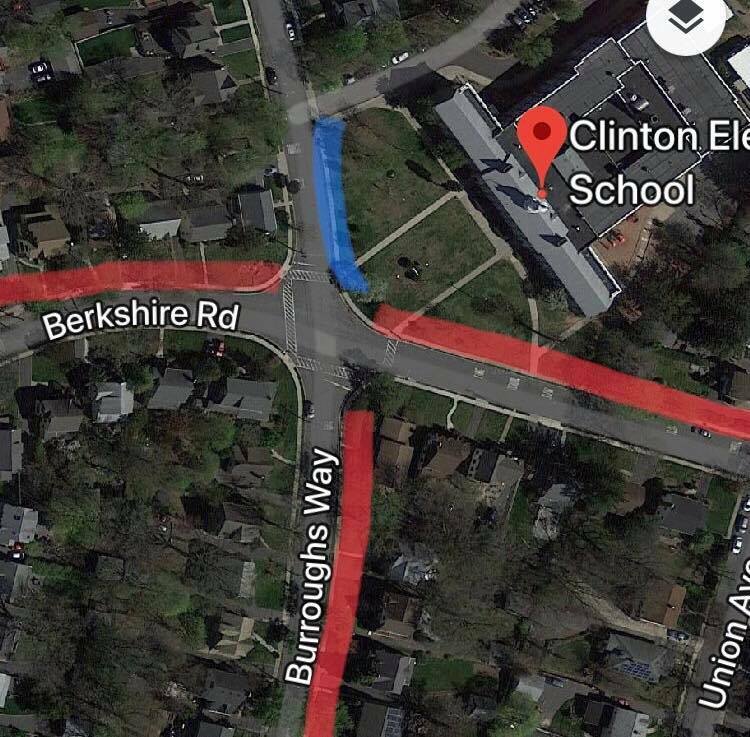 The RED areas all have the No Parking 8am-9pm signs, and the BLUE area is now Buses Only/No Student Drop Off or Pick Up.